Every time there is a post written about the optimistic numbers of successful mobile apps in the whole wide world that inspire one developer with divinity, there are at least five other developers and business owners cursing that same post for their failed app ideas. If you are one of those developers or their clients and project owners then you have found the right post to help you identify the mobile app development mistakes to avoid and what is it that you need to make right in your apps. We understand that it hurts to see your brainchild die in a brutally competitive market of mobile apps. There’s an app for EVERYTHING and no matter how much you do for your app to survive, something always seems to go wrong. Mobile app development mistakes make you pay ten times over for your efforts. Well, you’re not alone, we’ve been there too but, a good thing, we learned from our mistakes and we’re here to tell you what those were. After losing our blood, sweat, tears and a lot of money by making our share of mistakes, we have identified the scariest mistakes and how not to make them. And if you don’t want to fail with your app idea or want to know the reasons for failure for your last app start-up idea, you can begin to correct yourself and your team. 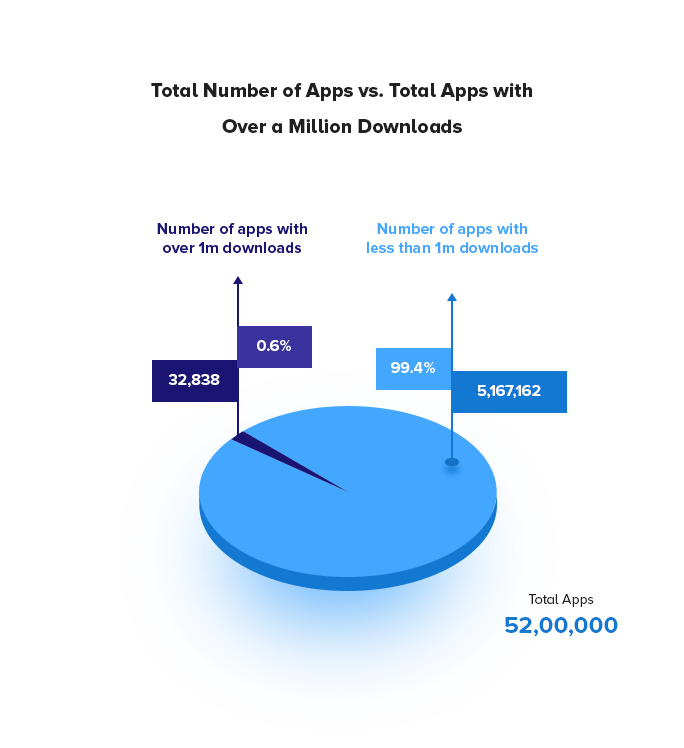 After all, there are over 5 million total apps in major app stores but only a little over 32K apps make over the mark of 1M downloads. For covering this steep difference in the numbers of total apps and the number of successful applications, it is crucial to not make the mistakes mentioned below. This is a big one. Not doing a need analysis before starting the development is like serving Ham to vegans – Nobody is going to eat it. You have a great app idea and you go and put your money into it without doing a market research is not the best way to go. Whenever there is a big investment required, it is favourable to take things slow. It is necessary to test the market and conduct surveys about what features do the users need in the app if they need it. That would validate your idea and give you a confidence about a considerable user base. There is always a roadmap to a successful app development, and it is cardinal to follow that route for making an app that users like. Surveying your target audience if they’re ready for an app or not is better of customer acquisition and more importantly, user retention. Just like there are several categories of mobile apps – Financial app, educational apps, eCommerce, On-demand, etc; there are categories of mobile app developers also. And similarly, all the mobile app development companies are also different. Firstly, before deciding upon a mobile app development team, you need to fix the budget, the platforms, the complexity, the domain of your app. Then, secondly, you should research and find out about the app development companies who fit the criteria of your mobile app. Then finally, you should make a list of questions to ask the mobile app development companies before reaching a decision. Can I get some of your client references? What is your app development approach? These kinds of questions can give you a detailed insight into the company itself, the kind of projects they can handle, what is the size of one project they’re capable of taking, etc. Later, you can easily cross out the companies which do not fulfill the criteria for your app’s development. You cannot have a dream one day about a rocket ship and start building it the next day. Especially when you know it is going to eat up a lot of money. What is needed before the building process is the detailed scope of all the resources it would take to build that rocket ship. And resources not just consist of money but development hours, material, space, overheads, a special marketing or operations team, etc. Each one of these things directly translates into capital investment and all of it needs to be taken into consideration before the commencement of the app development project. Even before starting upon with an MVP for one platform, it is crucial to consider training, hiring and overheads costs if you want to avoid a big mobile app development mistake. Remember, it is paramount to know how much does app development cost? Only then you can correctly define what your MVP will look like. Making an MVP can be the last step where you can save your app from being a disaster. An MVP or Minimum Viable Product presents you with a chance to test your product in real market conditions and with daily users to evaluate your app’s performance. An MVP is the stage when your app consists of only the necessary features thereby, allowing you to launch the app in the market before going through with the entire development process at an advanced level. Realising an MVP as a preliminary product reduces the actual product/app’s time and cost. You can speed the development process to release the basic version of your application, get feedback from the market, make the required changes to your app’s model and improvise the final product. One of the biggest mistakes to avoid when developing an app is to not paying close attention to the UI of your app. UI or User interface is the face of your app which is responsible for the very first impression. Since there are numerous apps available on the online app stores, users are highly impatient while making a decision about keeping an app in their mobile devices. In other words, a good UI can become the user retention key to your mobile app which cannot be ignored. Take extra care for the animations used to indicate loading time. Use things that will keep the users engaged. One of the advanced features to add to the UI is the Gesture-based interface. One of the biggest mobile app development mistakes to rectify is thinking that adding a number of features will make the users appreciate your app more. In fact, the epithet “feature rich” has become a positive quality for many app developers and businesses and it is used more than often by app marketers. Needless to say, it is one of the most common mistakes that app developers make. Although, if we go by the user feedbacks, having too many features in an app makes it cumbersome and bulky in size without adding much value to the overall user experience. Contrastingly, having fewer and targeted features makes a mobile app purposeful and easy to understand. Additionally, having too many features makes the app slower and adds to the load time. And not to mention the time, efforts and resources that go into making those extra features. The best thing to have is the main feature and other supporting features that make the purpose of the app complete. These features will perfectly help the user in tackling any problem that they face with food delivery. It goes without saying that among the biggest mistakes to avoid when developing an app, resisting the temptation for building the app for all the possible platforms is a huge one. Adding too many features and adding too many platforms work in the same way – they prove to be highly counter-productive for your vision As they skyrocket your initial costs of app development. The best way to go is, doing market research, then deciding upon one platform out of Android, iOS or Windows, launching the app on that platform and recording customer feedback. Once you are absolutely sure about the success of your app on one platform, then you can plan the development for the next platform. It is very important to decide upon a single platform for your app in the beginning. Otherwise, you should plan the app development strategies well in advance if you want to release the app on multiple platforms at once. Being a user, having an app with a glitch-free performance means everything. Especially, in the initial days of the app release, it is very important to have an app that retains users by its flawless performance. Apart from simple testing of an app, it is crucial to test it over a range of devices to ensure a good first impression. In fact, it is better to know beforehand what are the testing strategies your app development company follows. Also, it is important to remember the when it comes to testing of an app, it should be done by a third-party or professional app-testing team. Only then, you will be able to release a perfect version of your app. From the starting of this article, we have established the importance of feedback multiple times. But still, mobile app developers let this one slip. In the end, this app is being developed for the general users. Therefore, it is highly important that they get a say in what would want to see in the app that they want to use. Otherwise, they simply would not use it. “Multiple iterations” of user feedback is the only way out of this scary situation. The important changes to be made in the app should be based on what the users want. One of the most common mistakes in mobile app development is made during the Market launch of an application. It starts with generalizing your entire market and not narrowing down the target audience while planning the app release. Remember – Everybody cannot be your target market. Validate your MVP before investing in a launch. You will get an idea about the changes to be made and the redundancies to be removed from the app before launching. These steps are crucial to dip your toes to test the waters before diving in. Once you know your market, you can alter your mobile application as per the need of the hour. 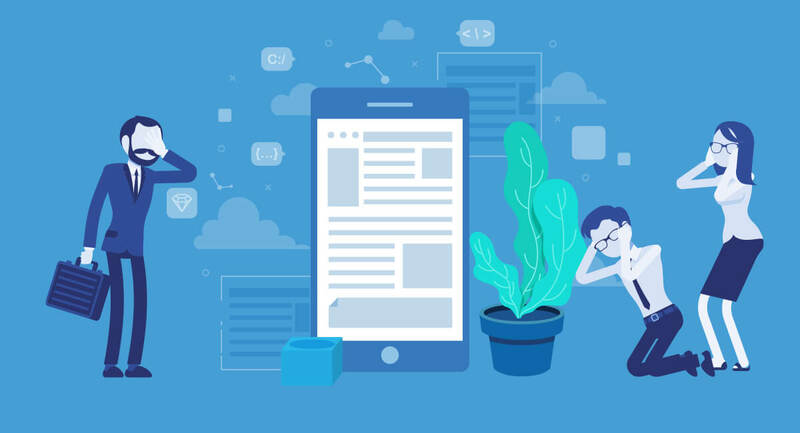 The common mistakes in mobile app development and the lessons at the end of them can be used to study and build up a new standard process. Right from need Identification and customer validation to testing and launch the app on the right platform after a thorough customer survey and feedback is the key to securing your hard-earned resources. Avinash Sharma is the go to person for someone stuck in the glorious mesh of Android world. 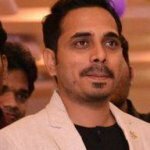 Currently associated with Appinventiv as a Solution Architect, Avinash has a knack for finding answers to areas that are yet to be explored. A strict out of the box thinker, he ensures that every blank space of Android app development process’s SDLC is filled.